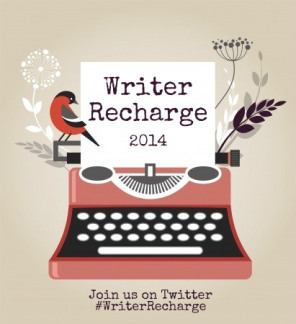 In true mash-up fashion I will tell you what I’m up to on my retreat, in life, and in writing (which all three feel very intertwined this week) with help and inspiration from the What’s Up Wednesday* crew and #WriterRecharge. I am writing a book. I am using all my words for this book. It is still (mostly) a first draft although because I am editing it as I go, and then abandoning editing to get more words on the page. I am trying to decide how to set my goal for this week. I want to get about 10,000 words or to a point in the MS that this one specific thing happens. Whatever I get to first/whatever I’m able to get done, I am writing and it feels promising. This section will be boring. I am not reading much this week other than the pages we are workshopping at the retreat (just to refresh my memory) because there hasn’t been a lot of time. Ummm…this place is stunning. The fog shrouded mountains. The lichen covered trees. The sculptures designed by world famous artists. Bah! I can’t even. I’m also having trouble getting my pictures to upload, but rest assured, there will be pictures. This group of YA writers is truly incredible. Their talent knocks me off my feet. That in itself would be enough, but they go a step further. As women — as people — they are so kind, so encouraging, so thoughtful and diverse that I am left blushing in admiration. Conversations about process, or failures, fears or faiths, stimulate my creativity until I’m giddy. I am writing and I know more about how to end this book than I did last week. I haven’t started anything new since I’m not done with my older projects. I still have a lot to do but I’m going to get there. 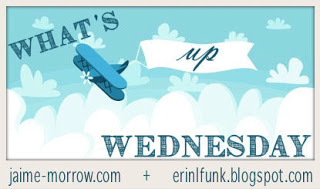 *What’s Up Wednesday is a weekly meme geared toward readers and writers, allowing us to touch base with blog friends and let them know what’s up. Should you wish to join us, you will find the link widget at the bottom of Jaime orErin’s blog. Sounds like you’re having an amazing time – can’t wait to see pics! Good luck with your MS, and getting to whichever goal you reach first. It sounds beautiful there, I’m jealous! A retreat sounds wonderful. Stay inspired! I’m thoroughly jealous of your writers retreat but happy that you’re having an amazing time. I could use some good scenery for inspiration these days! Regardless of what goals you set, it’s great that your story feels promising! Oh, yes–that moment when you suddenly realize how the story will end, and what events will lead up to that dramatic conclusion. So cool! Sounds like you’re having a great time at the retreat, Rebekah. May you continued to be inspired. Yes, fellow writers are often an awesome group of people. 😀 Have a wonderful week!